33 regions of China country in a fun online geography learning game. Interactive map of China territory. "China Puzzle" is a small knowledge level game, to drag and drop the provinces of China in their correct places on the map. 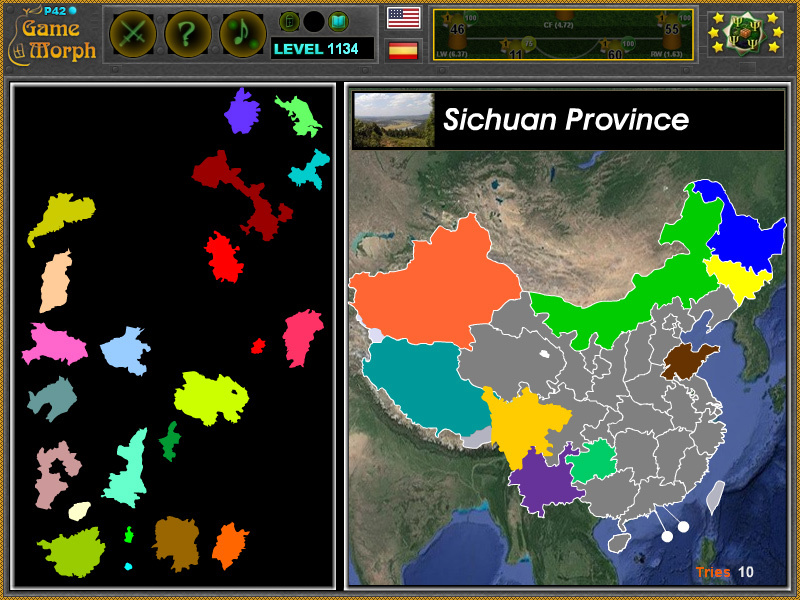 Free online game to study the administrative regions of China country. Fun educational geography game, suitable for online lessons and interactive classes. Minute to win it game. How to play China Puzzle. There are 31 graphic pieces, representing the China provinces, situated on the left side of the screen. Drag and drop them in the correct place in the outlined borders of China to the right of the screen. The image will show a landscape from that province. Know at least 3 provinces of China and get +1 Knowledge Level. Provinces, formally provincial-level administrative divisions or first-level administrative divisions, are the highest-level Chinese administrative divisions. There are 33 such divisions, classified as 22 provinces (not including Taiwan, which is claimed but not actually controlled by the People's Republic of China), four municipalities, five autonomous regions, and two Special Administrative Regions. How many regions do China have? Which are the China states? Which are the 5 biggest states of China? What are the political borders of China regions?